This may have a sleek new look, but provides as much fun as ever! 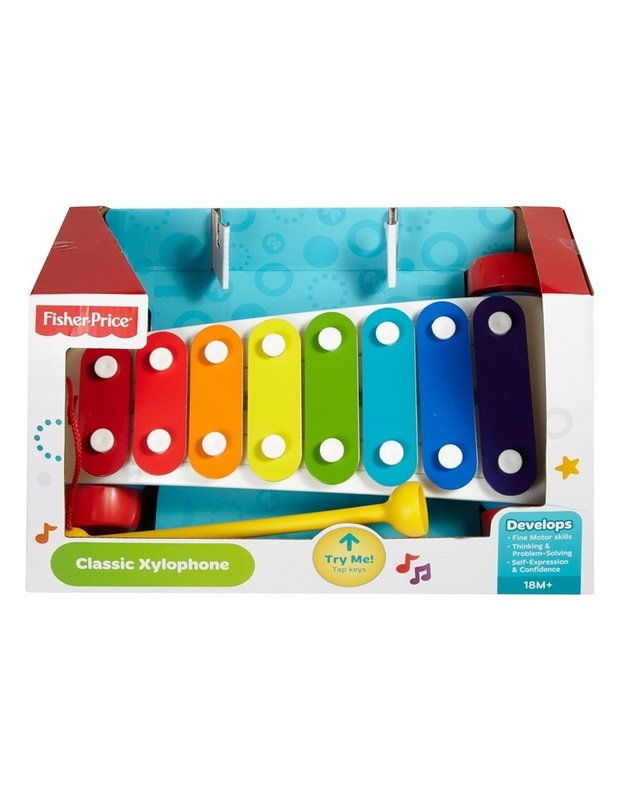 The Classic Xylophones 8 colorful keys encourage early music-making creativity, helping young ones develop a sense of accomplishment. 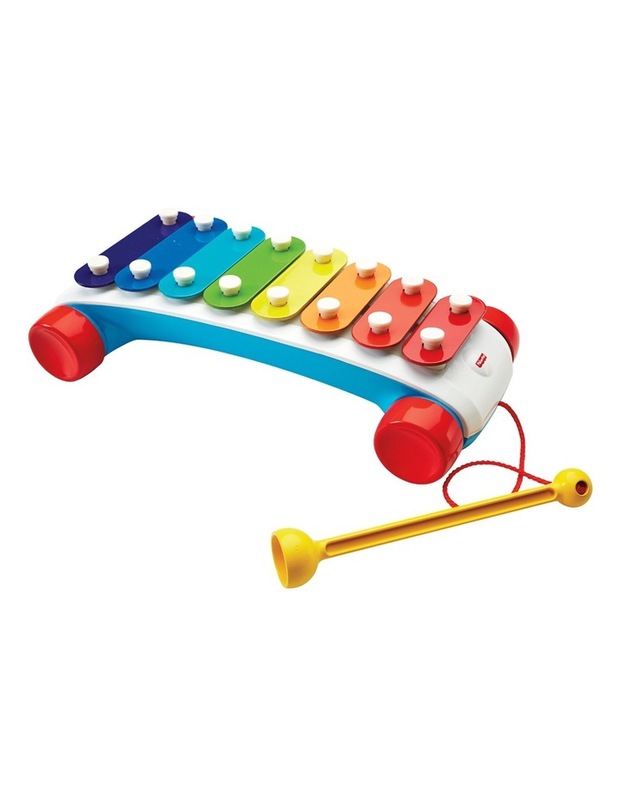 And as their musical abilities grow, little ones can follow the colors to create a real song! The mallets attached so it never gets lost. And its on wheels so kids can take & make music wherever they go!